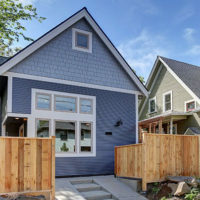 This one-day workshop is a primer for homeowners to learn to build accessory dwelling units (ADUs) that will enhance their properties, maximize their space, and add flexibility to their lives. This class teaches the essential elements of the ADU development process from start to finish. 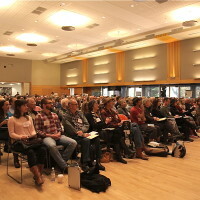 It is highly valuable both for homeowners, and for out-of-town professionals who want to see how educational outreach about ADU development can help build the market for ADUs in their own cities. The content will be applicable to any jurisdiction, though it will be presented about and based on Portland’s regulatory and real estate market conditions. Participants should also attend Saturday’s ADU and Small Home Tour, which will be referenced throughout the day. 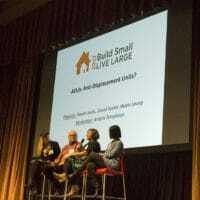 The “Building An Accessory Dwelling” Workshop requires separate registration from the Friday professional Summit and from Saturday’s ADU and Small Home Tour. The course runs from 10:00 am to 3:00 pm on Sunday, November 5th. Registration is $95. Register for the Building An Accessory Dwelling Unit Workshop! Register for the Friday Summit and Saturday Tours!